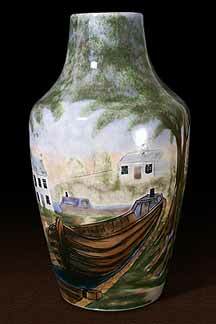 Cobridge Cauldon Lock vase - 10" (254 mm) high. 1998. This was the very first Cobridge Limited Edition.